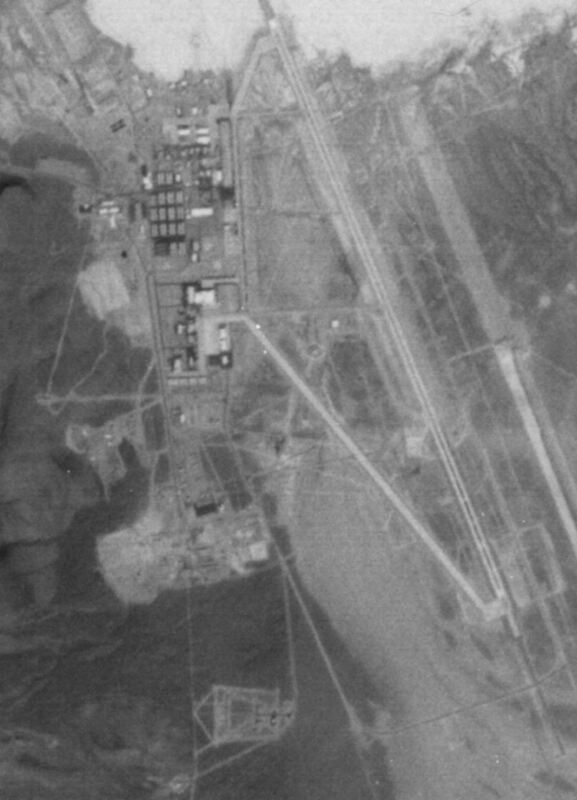 This excellent high-resolution (about 2 meters) satellite photo of the Groom Lake base was taken circa 1991. Clearly visible, the buildings, and the two runways, the second one just under construction. The image was sent to us with friendly permission by Groom Lake Interceptor Tom Mahood.